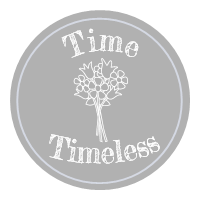 TimeTimeless is a rather ordinary blog about an ordinary teen boy with his ride of daily emotions. So, the school has officially released us for our school holidays, though this one is significantly shorter compared to my previous institute, it is a well-needed one! Ugh but I went back to school for my leadership training (I know… what .?? ) and I received the year-end feedback about my leadership, everything was pleasant until I read this one comment, ” stop running your mouth” I know that its supposed to be an advice, but I can’t help but feel angry and sore about it. It’s probably someone I know, and I’m supposed to shake it off… but it’s kind of bothering me too much, at this point I don’t really know what to do. But the other comments were really nice! Just this one comment… Probably should not get too involved/angry, and take it as it is, can’t help it when one person feels that way, got to be strong and learn to ignore ugh! On a happier note, 5 more days before I head to Australia! Can’t wait, I even got a disposable camera just for the trip. However, I still feel bitter that I’m leaving my mom here alone for 11 days. Nonetheless, I am going to enjoy the well-deserved trip! So it has been a good 2 months since my last blog post, and a lot has gone down, to be honest, things have been pretty good. No joke its been a tough ride. Well, let’s say that I finished my major exams and I think I did pretty well. Now let’s all hope I promote to Year 2! And things have been going really well with my classmates in school, I really hope it continues to go well. At the same time, I finished my project work and Oral presentation. So now since J1 is over, I really thank God for everything that had helped me grow. My results have been great ( at least to me ) and things in school have really settled down. I pray for more days like these to happen. P.s, let’s all hope that I have more time to blog now since I’m pretty much free. As the days draw closer, I’m starting to feel this wave of sadness, you know those feelings where you suddenly feel emotionally unstable and rather depressed like the world is such a dreadful place, well, that’s exactly how I’m feeling. Well, for now at least. It is as though I picture the time where I will have to face the people I do not like, gives me a feeling of uncertainty, I hate not knowing what is going to happen in the future, uncertainty is my biggest fear… What probably keeps me going is the fact that the long draining day would eventually come to an end and I have the comfort and the safety of my room that I can look forward to ( not bragging but I have a pretty decent room that I actually like ). While it is currently 1am here, the feelings I am experiencing now would hardly let me sleep. I know these sentences jammed together hardly makes any sense but hey, it’s my blog and my tispy- turny life. While most of my friends classmates only use Instagram, those close friends of mine who I used to hang out with would post pictures and videos of their ‘amazing’ time they’re having. So… because of my FOMO ( fear of missing out ) I deactivated my account, yeap, I did. Nonetheless, I still had Twitter, gosh I can’t live without Twitter. I’ve written countless essays, but none of them I actually liked, hopefully, this blog would be my safe space. 🌠 Many of my posts ( you might have realized) are inconsistent and messy, but it’s a way of expressing myself without a filter, my raw thoughts and emotions are displayed clearly to see, it’s a place where I do not need a facade. My own little world. Ugh, life’s tough but we gotta keep going, many have it worse… I’m going to keep fighting! If anyone is going through a tough time, no matter how petty the reason/cause of it, talk it out, write it out, do it for yourself, cause in the end it’s your own 2 legs thats going to get up. We can do this. Suddenly I’m hit with a pang of sadness, no not sadness, rather a sense of dread. It’s like it actually hurts to imagine going back into that hell hole, yes, school. As much as I love my close friends, ( which isn’t a lot ) there are some I just wish would just disappear. Yeah, it’s as though some of them are so toxic I can’t stand being in the same space as them. You must be wondering based on what context am I feeling so bitter, well… storytime! Let’s call her Bethany, at the start of the school year, Bethany seemed so ideal ( at least to me ), she knew what she wanted, she looked like she had her school year planned out. Somehow, Bethany and I got close, we enjoyed each other company, but suddenly as months passed, she became this dramatic person. How? you might ask. Well let me give you an example, one day I skipped school, so she sent me the test dates and all those stuff, she then said ” no one else would do this” implying that I do not have any other close friends, well being a rather “self-proclaimed comical” person I replied ” you just want your damn credits 😫” Ho Ho, she then took 10 minutes to type a long paragraph with poetic connotations claiming how she was hurt I said that. It was because of that asinine incident that I realized Bethany had a terrible habit of being dramatic, she would send messages to me, then delete it, leaving me to ask her what she sent or why she deleted it. There was once where she sat beside me, clearly angry but ignored me, she then proceeded to literally whip out her phone and send me some link, but deleted it a second after, leaving me with a notification. She thought I didn’t see it, but I wished I didn’t. I felt kind of disgusted and revolted at her crave for attention… Soon I wasn’t the only person that looked at her in that light, well I still remain close to her in her eyes, I’m slowly moving away as I really couldn’t bear to witness attention craving acts. Well, this is just a gist of how she is like, as crude as it sounds, I’m really planning to drop her as a friend because she had been doing some backstabbing activities behind my back, as the academic year is short, I really want to be focusing on my studies, yeah. This blog post is rather long, I know, but I’m sure my teen readers would understand my emotions to a certain extent. And the dreadful change in “lifestyle” when school opens. Wish me luck! If ya’ll have similar experiences or need someone to rant to, I’m here. P.S Should really go for a run to clear my head. No, I’m not talking about those type of movie nights where we stay up till 3am binge-watching classics. Today’s movie night was kind of special, I actually went to the cinema later in the day for a late night movie, it was a nice break from the hectic student life I must say. Yeah… the movie was great the atmosphere was great, everything was, except the fact that I watched it alone. Since it was a late night movie, everyone had a partner, not me though, but I didn’t mind at all. I had my nachos to keep me company. Overall, apart from feeling exceptionally lonely today, it was a good break, though not well deserved nonetheless we all have things we’re guilty of 😉 Anyways since it’s going to be late when I get back, guess I’ll sneak in another movie, the damage has been done. Hope ya’ll had a great day! Hopefully, tomorrow would be a rather productive day! Guess my life is kind of average, but as stated, I’m just an ordinary boy :0 With a terrible secret.